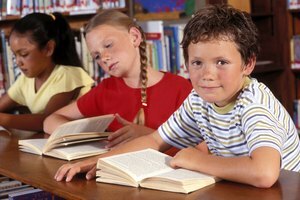 Despite good word-recognition abilities, many children with ASD will experience some difficulties with reading comprehension. 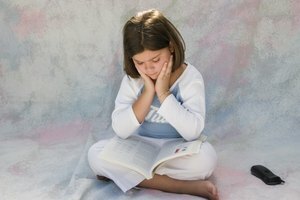 A common cry from parents and teachers of children with autism spectrum disorder is, “If only he could show me what he knows!” Reading for understanding is especially challenging for individuals with autism, a group of developmental disorders characterized by social and communication difficulties as well as cognitive processing deficits. These deficits interfere with reading comprehension and in communicating information gleaned from reading, such as the plot of a story. A student with autism may be able to complete a familiar task like making popcorn but be unable to comprehend, communicate or recall the sequence. To teach these skills, take a familiar task and break the task into parts, assign each part to a picture card and ask the child to put them in order. The three cards would show a box of popcorn, placing one bag into the microwave and eating the popcorn. Once the child can successfully put these pictures in order, extend the learning by turning the sequence into a story with added elements. "One day, Eddie was so hungry for popcorn, he got the box out of the cabinet. He put the bag in the microwave and his mom pushed the right buttons. Pop! Pop! Pop! Popcorn is delicious!" Once they can recall the plot to a story in their own lives, they'll be able to move on to recalling the plot sequence in a book. Many children with autism spectrum disorder attend to specific details and miss the big picture. Graphic organizers such as flow-charts can help these children see relationships and retain information. A story map is a graphic organizer that lays out the order of the plot. The most basic story map focuses on the beginning, middle and end, but more complex organizers allow students to fill in details. For the reluctant writer, provide pictures or phrases that represent main plot elements for use in the graphic organizer. Timelines can also be used to map out a plot through words, dates and pictures. Students who prefer typing can use both the interactive story map and timeline online at ReadWriteThink. The use of visual cues is a standard technique in working with individuals with ASD. 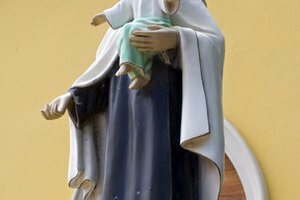 However, these cues are often used to help recall a story. 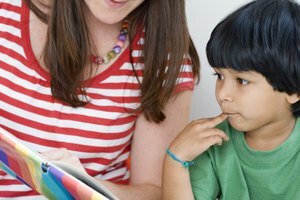 In order to help a child with ASD recall the plot, it's best to begin while he's in the process of reading. 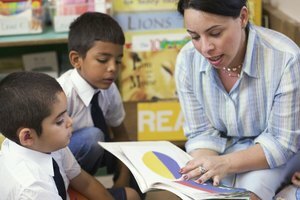 Ask the student to create pictorial representations as he reads, or at pre-set times in the story as a teacher reads aloud. If the student has a difficult time drawing, give choices of photographs or images. These pictures can be used as cues when the student recalls the plot. Acting out the storyline can aid in reading comprehension. Retelling a story reinforces understanding of the plot and will increase the ability of a student to remember the plot. One way to retell the story is through drama. This technique is used often in lower grades but can be useful in secondary school classrooms. Dr. Paula Kluth explains when students on the autism spectrum study literature in the upper grades, they may have trouble understanding the motivation behind a character's actions or the significance of dialogue. 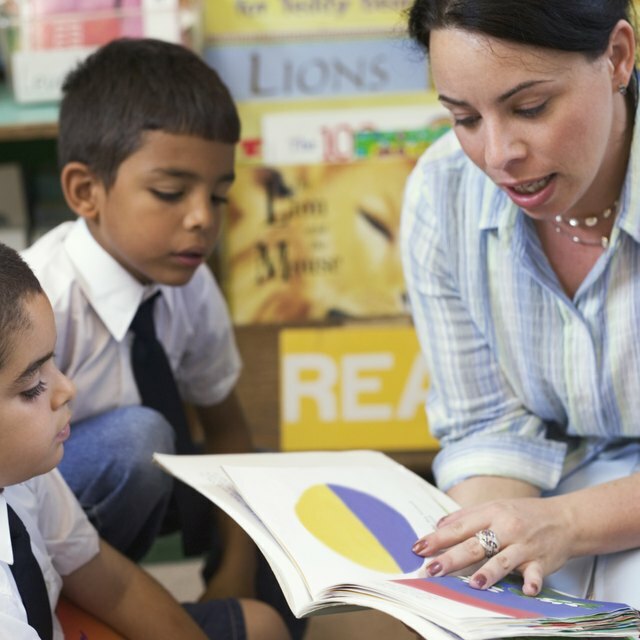 If peers act out the scenes, students with ASD can pair the dialogue with appropriate facial expressions and voice tone and put into action the nuances of dialogue often lost to them in print. VanBuren, Jennifer. "Helping Children on the Autism Spectrum Recall the Plot of a Story." Synonym, https://classroom.synonym.com/helping-children-autism-spectrum-recall-plot-story-29161.html. 26 September 2017.